Volume Three of Indy launched on Wednesday, January 28, 2015 as a free print and online publication, featuring books that will be in comic shops in April and May, 2015. Alternative Comics has expanded its lineup and its mission as a co-operative organization of independent comic book editors, publishers and artists; and, is now the home to Floating World Comics, Hic and Hoc Publications, Revival House Press, Study Group Comics and our home imprint, Alternative Comics. We hope to continue bringing you the finest indie comics from all corners of the comics world. 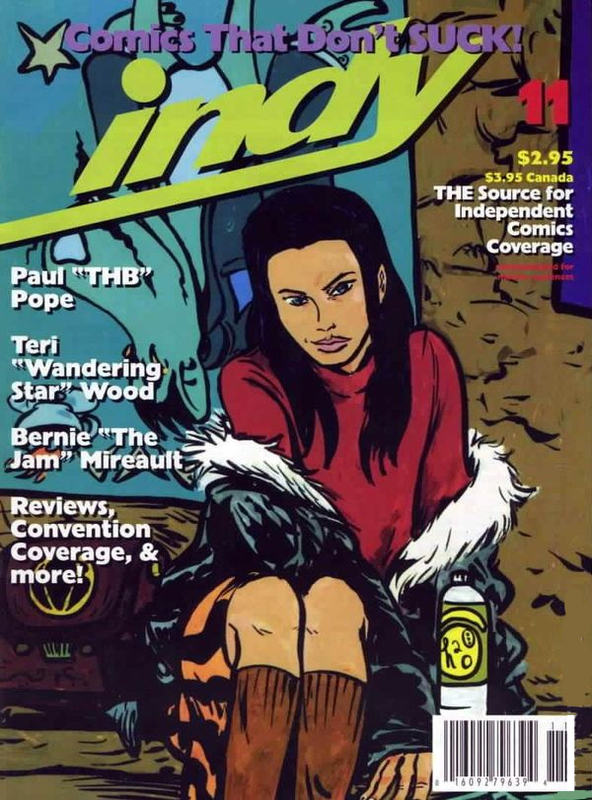 Indy Magazine: The Source for Independent Comics Coverage was published by Alternative, and edited by Jeff Mason as a printed periodical from 1994-1997 (Issues 5-18). The magazine featured many reviews, articles and interviews, alongside exclusive comics and covers by Paul Pope, Jeff Smith, Sam Henderson, James Kochalka, Evan Dorkin, Jim Woodring, and many others. The title was revived as a quarterly online publication – hosted by Alternative Comics – in 2004-2005 with Bill Kartalopoulos as the editor. Under Kartalopoulos, Indy Magazine became the first online publication to be nominated for Eisner and Harvey awards.